The Centre for Separated Families began life in 1973 as One Parent Families (later One Parent Families Support & Information Network), based in York. Over the next quarter of a century, the organisation worked with many families across north and east Yorkshire, providing much needed services to parents who were, as we saw it, caring for children alone. However, through a series of studies and workshops beginning in 1999 we came to recognise that, in providing support to one parent to the exclusion of the other, we were not only excluding parents who were not considered to be the ‘parent with care’ but, worse than than, we were failing children. We recognised that we needed to radically overhaul all of our services so that we could support the whole family to deliver what children needed. 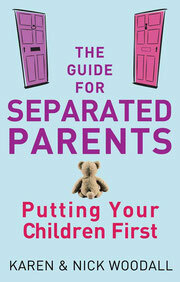 We stopped talking about ‘lone parents’ and ‘single parents’, ‘parents with care’ and ‘non resident parents’. We began to look at how mothers and fathers interacted with services differently and then built programmes that were accessible to all. Instead of relying on old stereotypes, we talked to parents and children and asked about their real-life experiences. Today, the Centre for Separated Families is a national organisation and one of the most influential charities in the sector. We are proud of the work we have done but recognise that there is so much more to do if we are really going to change children’s experiences of family separation for the better. Today, the Centre for Separated Families continues to develop innovative and challenging programmes and strategies that we hope will change the way we support separated families in the UK, forever.